TONS OF EVENT GOODIES FROM THE BEST DESIGNERS ON THE GRID! Hey! Tons of event stuff to show you today. I am going to cut to the chase today/this morning (6am!) and let you look at what I did. Have a great Sunday! *SK * – “Nancy” – DRESS sequins & Under dress – Maitreya ONLY – HUD for fatpack will allow you to change the colour of each layer, for instance, I made the under dress red and the sequin layer black. .:Soul:. “Spite Eyes” – Hazel – Eye Appliers – @ Mens Only Monthly! 25% off the entire line for the event. 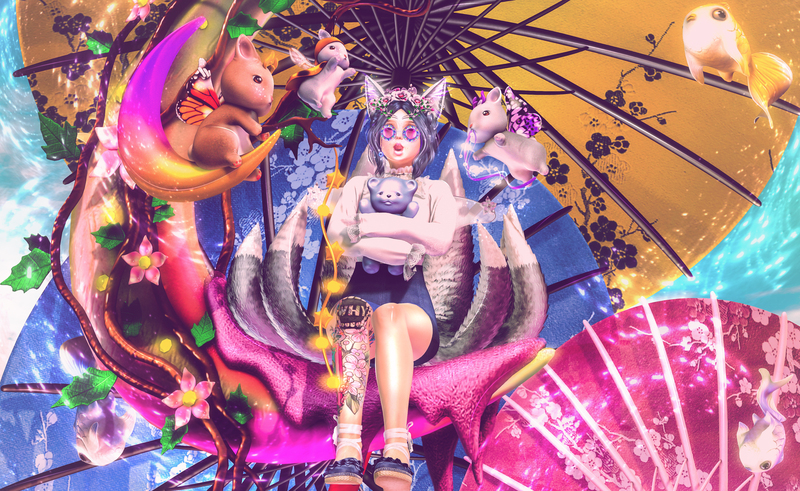 Pure Poison – “Karleen Sneakers” – @ Kustom9 – over the knee high boots and sneakers for Isis, Freya, Maitreya and Slink Hourglass with texture changing HUD containing: 12 color sets to mix/match. Sold separately.